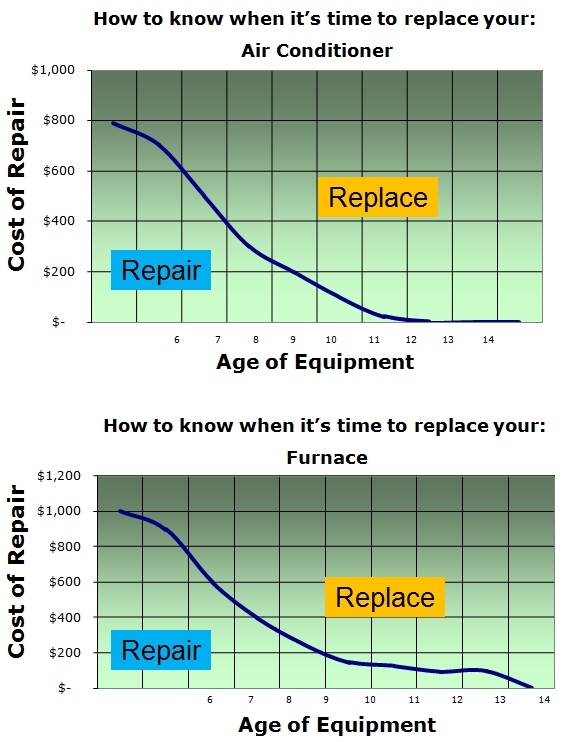 Is it Time to Repair or Replace Your Air Conditioner or Heater? Where does your system fall on the charts below? 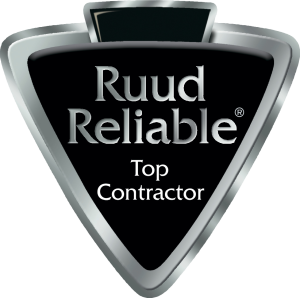 Whether you need repairs, or if it’s time to consider a new energy-efficient heating and cooling system contact us. Either way, we’ll make the climate right in your home! If your system does need replacement, take advantage of our coupon specials Click here. Recent increases in government efficiency requirements mean that new systems will help you save money on your energy bills than your current system. Upgrading selected components will create a matched system, where every component is designed to work together for the greatest possible comfort and efficiency. Just Like a new car, it’s a fact, newer systems and components are less likely to break down than old ones. And if anything does happen, you’ll have a warranty to fall back on. Our new systems can make your home’s air cleaner and more comfortable than ever before. Where does your system fall? If you only need repairs, or if it’s time to consider a new energy-efficient heating and cooling system, contact us today. We’ll make sure it is in your home too.